Peter Hartlaub The revelation here is Villeneuve, who expands on the symphonic pacing showcased last year in the drug war drama Sicario. 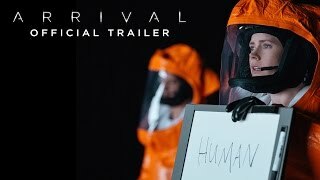 Even though the concept of Arrival is far-out fiction, Villeneuve treats it with no less detail or urgency. Christopher Orr The best film of the year to date, ambitious in conception and extraordinary in execution, has arrived. Amy Nicholson Learning Heptapodese seems easy compared to the tough talks Americans need to have with each other. Brian Lowry Those expecting a whiz-bang film should be prepared for a more cerebral and emotional experience, admirable for its ambition and tone, if not wholly satisfying in its payoff. Will Leitch Arrival plays with your head as gently as any sci-fi thriller I can remember. 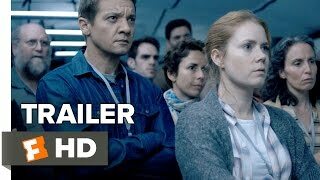 Matthew Lickona Denis Villeneuve's latest is an artier - certainly moodier and less entertaining - version of M. Night Shyamalan's Signs. Peter Rainer It's difficult to get worked into a state of awe with this film because so much of it is so sodden. 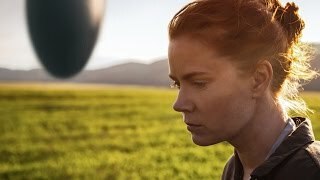 Peter Travers Amy Adams is a miracle worker-she makes us believe in this mesmerizing mindbender about alien communication, directed with searching mind and heart by Denis Villeneuve.